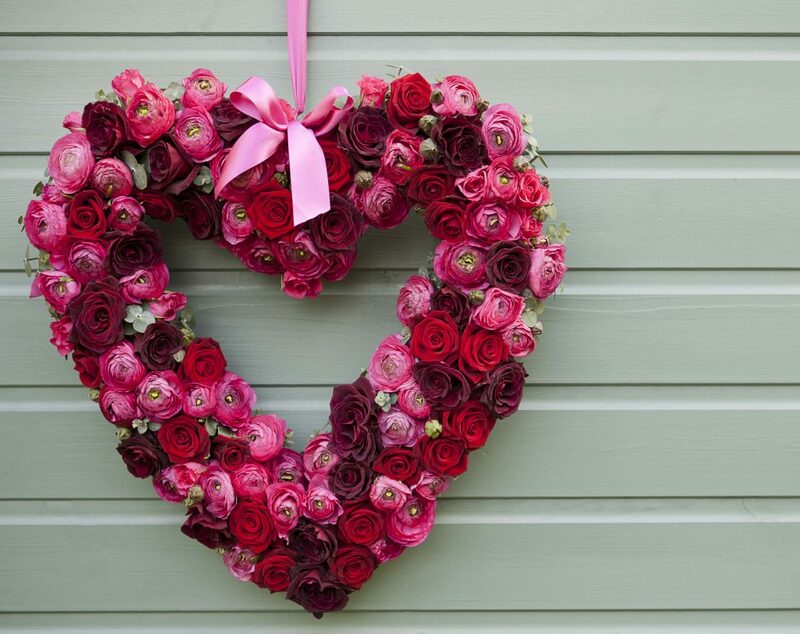 Heart Shapes are trending everywhere today and provided the inspiration for these floral wreaths. 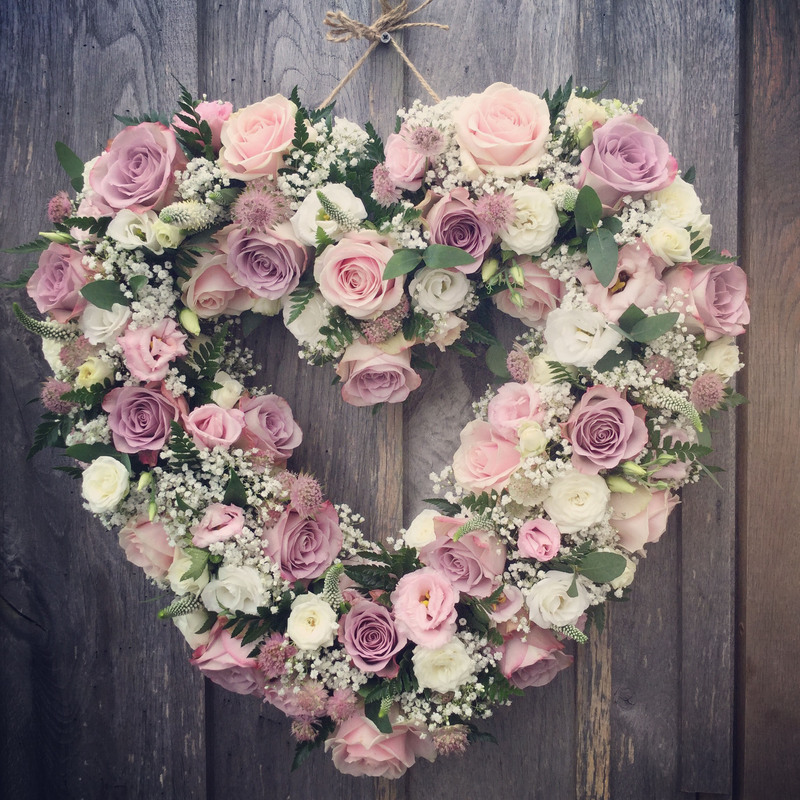 These romantic hearts were created by Sharon Mesher wedding flowers, and make beautiful hanging wedding decorations with Trevenna as the backdrop. Miniature Gypsophilia White flowers look great on their own as a haze of delicate flowers, or mixed with larger flowers to soften the arrangement. The Gypsophilia Wreath shown here contrasts with the exposed stone walls of the Threshing Barn. 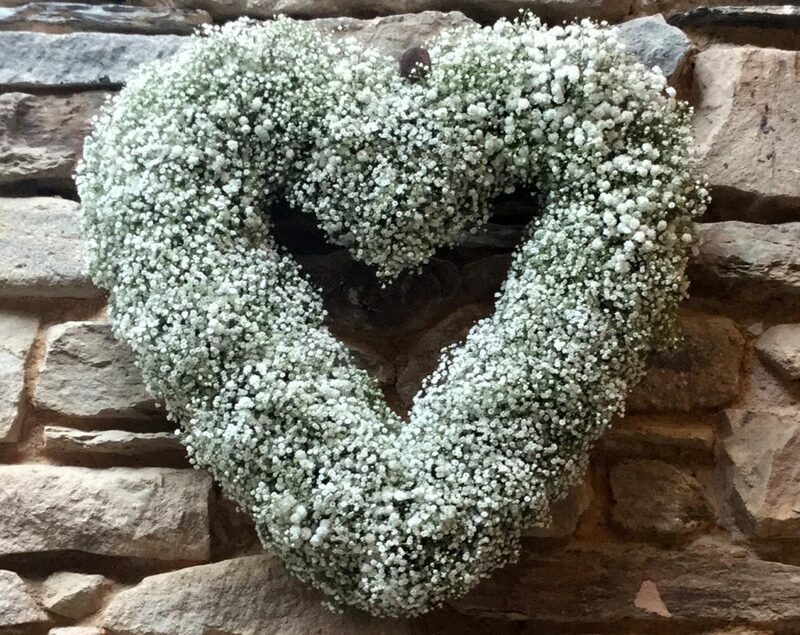 Gypsophilia Heart Wreath on Threshing Barn stones walls. Deep red velvety Black Baccara Roses with Spring Red and Cerise Pink Ranunculus. Dusky Pinks of Memory Lane Roses & Pale Pink Sweet Avalanche Roses, mixed with Astrantia & Lisiantha with Gypsophilia & Eucalyptus for a mixed flower heart wreath. 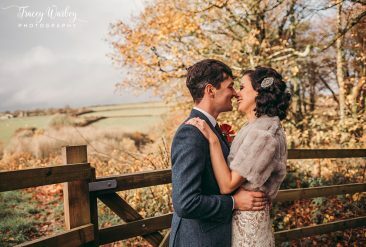 Tied on with cord, the weathered Oak provides a natural frame for the romantic heart. Mixed Flower Heart hanging from Oak Boards of Garden Venue @ Trevenna.